^ Kort, Michael. The Columbia Guide to the Cold War. Columbia University Press. 2001: 3. ^ Geiger, Till. Britain and the Economic Problem of the Cold War. Ashgate Publishing. 2004: 7. ^ 'Bernard Baruch coins the term "Cold War"', history.com, 1947-04-16. Retrieved on 2008-07-02. ^ Strobe Talbott: The Great Experiment: The Story of Ancient Empires, Modern States, and the Quest for a Global Nation (2009) p.441 n.3. ^ Heller, 2006, p. 19. ^ 18.0 18.1 George C. Herring Jr., Aid to Russia, 1941–1946: Strategy, Diplomacy, the Origins of the Cold War (Columbia University Press, 1973). ^ Weeks 2004, p. 107. ^ Max Frankel, "Stalin's Shadow," New York Times 2012-11-21 reviewing Anne Applebaum, Iron Curtain: The Crushing of Eastern Europe, 1944–1956 (2012), p. 7-9. ^ Heller, 2006, p. 27. ^ 33.0 33.1 33.2 33.3 33.4 33.5 33.6 33.7 Byrd, Peter. Cold War (entire chapter). (编) McLean, Iain; McMillan, Alistair. The concise Oxford dictionary of politics. Oxford University Press. 2003 [2008-06-16]. ISBN 0-19-280276-3. ^ 42.0 42.1 Schmitz, David F. Cold War (1945–91): Causes [entire chapter]. (编) Whiteclay Chambers, John. The Oxford Companion to American Military History. Oxford University Press. 1999 [2008-06-16]. ISBN 0-19-507198-0. ^ Fenton, Ben. "The secret strategy to launch attack on Red Army", telegraph.co.uk, 1998-10-01. Retrieved 2008-07-23. 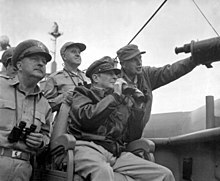 ^ Morgan, Curtis F. Southern Partnership: James F. Byrnes, Lucius D. Clay and Germany, 1945–1947. James F. Byrnes Institute. [2008-06-09]. （原始内容存档于2008-07-05）. ^ Harriman, Pamela C. Churchill and ... 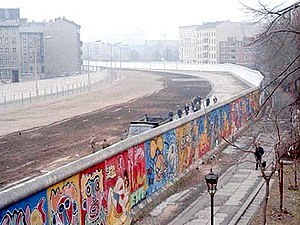 Politics: The True Meaning of the Iron Curtain Speech. Winston Churchill Centre. Winter 1987–1988 [2008-06-22]. （原始内容存档于2007-10-15）. ^ Pas de Pagaille!. Time. 1947-07-28 [2008-05-28]. ^ Van Dijk, Rudd. The 1952 Stalin Note Debate: Myth or Missed Opportunity for German Reunification? Woodrow Wilson International Center for Scholars. Cold War International History Project, Working Paper 14, May 1996. ^ Trizonia. Encyclopædia Britannica. 2011 [2011-05-07]. ^ O'Neil, Patrick. Post-communism and the Media in Eastern Europe. Routledge. 1997: 15–25. ISBN 0-7146-4765-9. ^ Cummings, Richard H. Radio free Europe's "Crusade for freedom" : rallying Americans behind Cold War broadcasting, 1950–1960. Jefferson, N.C.: McFarland & Co. 2010. ISBN 978-0-7864-4410-6. ^ Stokesbury, James L. A Short History of the Korean War. New York: Harper Perennial. 1990: 14. ISBN 0-688-09513-5. ^ David Dallin, Soviet Foreign Policy After Stalin (J. B. Lippincott, 1961), p60. ^ Douglas J. Macdonald, "Communist Bloc Expansion in the Early Cold War," International Security, Winter 1995-6, p180. ^ John Lewis Gaddis, We Know Now: Rethinking Cold War History (Oxford University Press, 1997), p71. ^ William Stueck, The Korean War: An International History (Princeton University Press, 1995), p69. ^ Cotton, James. The Korean war in history. Manchester University Press ND. 1989: 100. ISBN 0-7190-2984-8. ^ Hastings, Max. The Korean War. New York: Simon & Schuster. 1988: 89–90. ISBN 0-671-66834-X. ^ "We Will Bury You! ", Time magazine, 1956-11-26. Retrieved 2008-06-26. ^ Soviet troops overrun Hungary. BBC News. 1956-11-04 [2008-06-11]. ^ Report by Soviet Deputy Interior Minister M. N. Holodkov to Interior Minister N. P. Dudorov (15 November 1956) (PDF). The 1956 Hungarian Revolution, A History in Documents. George Washington University: The National Security Archive. 2002-11-04 [2006-09-02]. ^ "On This Day 1989-06-16: Hungary reburies fallen hero Imre Nagy" British Broadcasting Corporation (BBC) reports on Nagy reburial with full honors. Retrieved 2006-10-13. ^ 132.0 132.1 Lendvai, Paul. One day that shook the Communist world: the 1956 Hungarian uprising and its legacy. Princeton University Press. 2008: 196. ISBN 0-691-13282-8. ^ Mark J. Gasiorowski and Malcolm Byrne Mohammad Mosaddegh and the 1953 Coup in Iran, Syracuse University Press, May 2004. ISBN 978-0-8156-3018-0, p. 125. ^ Walter B. Smith, Undersecretary. First Progress Report on Paragraph 5-1 of NSC 136/1, "U.S. Policy Regarding the Current Situation in Iran" (PDF). George Washington University. 1953-03-20 [2007-11-07]. ^ Measures which the United States Government Might Take in Support of a Successor Government to Mosaddegh (PDF). George Washington University. March 1953 [2007-11-07]. ^ Watson, Cynthia A. U.S. National Security: A Reference Handbook. Santa Barbara, California: ABL-CLIO. 2002: 118. ISBN 978-1-57607-598-2. ^ Bulmer-Thomas, V. The Political Economy of Central America since 1920. Cambridge: Cambridge University Press. 1987: 142. ISBN 978-0-521-34284-1. ^ Roadnight, Andrew. United States Policy towards Indonesia in the Truman and Eisenhower Years. New York: Palgrave Macmillan. 2002. ISBN 0-333-79315-3. ^ Kempe, Frederick. Berlin 1961. Penguin Group (USA). 2011: 42. ISBN 0-399-15729-8. ^ Sputnik satellite blasts into space. BBC News. 1957-10-04 [2008-06-11]. ^ Klesius, Michael. To Boldly Go. Air & Space. 2008-12-19 [2009-01-07]. ^ Blumberg, Arnold. 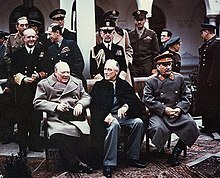 Great Leaders, Great Tyrants? : Contemporary Views of World Rulers Who Made History. Westport, Connecticut: Greenwood Press. 1995: 23–24. ISBN 978-0-313-28751-0. ^ Lechuga Hevia, Carlos. Cuba and the Missile Crisis. Melbourne, Australia: Ocean Press. 2001: 142. ISBN 978-1-876175-34-4. ^ 158.0 158.1 Smith, Joseph. 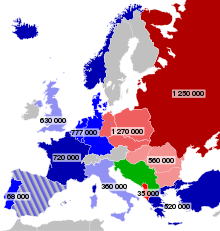 The Cold War 1945–1991. Oxford: Blackwell. 1998: 95. ISBN 978-0-631-19138-4. 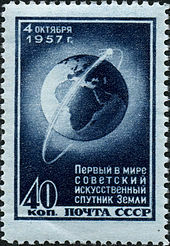 ^ 164.0 164.1 Zubok, Vladislav M. (1994). "Unwrapping the Enigma: What Was Behind the Soviet Challenge in the 1960s?". In Diane B. Kunz (Ed. ), The Diplomacy of the Crucial Decade: American Foreign Relations During the 1960s. New York: Columbia University Press. p. 158–159. ISBN 978-0-231-08177-1. ^ Jones, Howard. Crucible of Power: A History of American Foreign Relations from 1945. Lanham: Rowman & Littlefield. 2009: 122. ISBN 978-0-7425-6454-1. ^ James G. Blight (2002), Cuba on the Brink: Castro, the Missile Crisis, and the Soviet Collapse, Rowman & Littlefield, p. 252. ^ Menon‏, Anand. 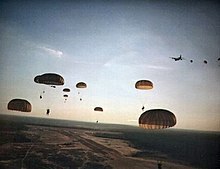 France, NATO, and the limits of independence, 1981–97: the politics of ambivalence. Palgrave Macmillan. 2000: 11. ISBN 0-312-22931-3. ^ Von Geldern, James; Siegelbaum, Lewis. 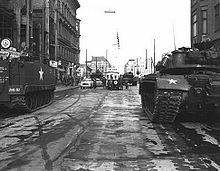 The Soviet-led Intervention in Czechoslovakia. Soviethistory.org. [2008-03-07]. （原始内容存档于2009-08-17）. ^ Russia brings winter to Prague Spring. BBC News. 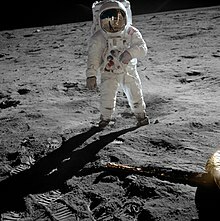 1968-08-21 [2008-06-10]. ^ Čulík, Jan. Den, kdy tanky zlikvidovaly české sny Pražského jara. Britské Listy. [2008-01-23]. （原始内容存档于2007-09-28）. ^ Karen Dawisha,“The 1968 Invasion of Czechoslovakia: Causes, Consequences, and Lessons for the Future”in Soviet-East European Dilemmas: Coercion, Competition, and Consent ed. Karen Dawisha and Philip Hanson (New York, NY: Homs and Meier Publishers Inc, 1981), p 10. ^ Sandle, Mark; Bacon, Edwin. Brezhnev Reconsidered. Palgrave Macmillan. 2002: 45. ISBN 0-333-79463-X. ^ Kozinski, A. (1991). The Dark Lessons of Utopia. The University of Chicago Law Review, 575-594. ^ Kotz, David Michael; Weir, Fred. Revolution from Above: The Demise of the Soviet System. Routledge. 1997: 48. ISBN 978-0-415-14317-2. ^ H. W. Brands, "The Limits of Manipulation: How the United States Didn’t Topple Sukarno," Journal of American History, December 1989, p. 803. ^ Qiang Zhai, China and the Vietnam Wars, 1950–1975 (University of North Carolina Press, 2000), p135; Gen. Oleg Sarin and Col. Lev Dvoretsky, Alien Wars: The Soviet Union's Aggressions Against the World, 1919 to 1989 (Presidio Press, 1996), pp 93–4. ^ Dmitry Mosyakov, "The Khmer Rouge and the Vietnamese Communists: A History of Their Relations as Told in the Soviet Archives," in Susan E. Cook, ed., Genocide in Cambodia and Rwanda (Yale Genocide Studies Program Monograph Series No. 1, 2004), p 54. ^ Chandler, David 2000, Brother Number One: A Political Biography of Pol Pot, Revised Edition, Chiang Mai, Thailand: Silkworm Books, pp. 96–7. ^ Heuveline, Patrick (2001). "The Demographic Analysis of Mortality in Cambodia." In Forced Migration and Mortality, eds. Holly E. Reed and Charles B. Keely. Washington, D.C.: National Academy Press. ^ Marek Sliwinski, Le Génocide Khmer Rouge: Une Analyse Démographique (L'Harmattan, 1995). ^ Banister, Judith, and Paige Johnson (1993). "After the Nightmare: The Population of Cambodia." In Genocide and Democracy in Cambodia: The Khmer Rouge, the United Nations and the International Community, ed. Ben Kiernan. New Haven, Conn.: Yale University Southeast Asia Studies. ^ Profile of Salvador Allende. BBC. BBC. 2003-09-08 [2011-01-25]. ^ 196.0 196.1 Grenville, J.A.S. & Bernard Wasserstein (1987). Treaties of the Twentieth Century: A History and Guide with Texts, Volume 2. London and New York: Methuen. ISBN 978-0-416-38080-4. ^ 199.0 199.1 Erlich, Reese. Dateline Havana: The Real Story of U.S. Policy and the Future of Cuba. Sausalito, California: PoliPoint Press. 2008: 84–86. ISBN 978-0-9815769-7-8. ^ Ioannis Mantzikos, "U. S. foreign policymaking toward Ethiopia and Somalia (1974–1980)", African Journal of Political Science and International Relations 4(6), June 2010. ^ 204.0 204.1 President Nixon arrives in Moscow. BBC News. 1972-05-22 [2008-06-10]. ^ The President. Richard Nixon Presidential Library. [2009-03-27]. （原始内容存档于2009-08-27）. ^ Leaders agree arms reduction treaty. BBC News. 2008-06-18 [2008-06-10]. ^ John P. Diggins. Ronald Reagan: Fate, Freedom, And the Making of History. W. W. Norton. 2007: 210. ISBN 978-0-393-06022-5. ^ Michael Cox. Beyond the Cold War: Superpowers at the Crossroads. University Press of America. 1990: 18. ISBN 978-0-8191-7865-7. ^ Allen, Richard V. The Man Who Won the Cold War. Hoover.org. [2011-11-03]. （原始内容存档于2011-05-01）. ^ 220.0 220.1 Singh, Bilveer (1995). "Jemaah Islamiyah". In Wilson John & Swati Parashar (Eds.) Terrorism in Southeast Asia: Implications for South Asia. Singapore and Delhi: ORF-Pearson-Longman. p. 130. ISBN 978-81-297-0998-1. ^ Stöver, Bernd. "Rollback: an offensive strategy for the Cold War," in Detlef Junker, ed. 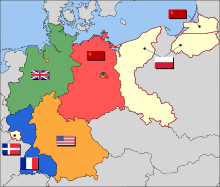 United States and Germany in the era of the Cold War, 1945 to 1990, A handbook: volume 1: 1945--1968 (2004) pp. 97–102. ^ Thomas Carothers. In the Name of Democracy: U.S. Policy Toward Latin America in the Reagan Years. U. of California Press. 1993: 113–15. ^ Vladislav Martinovich Zubok. A failed empire: the Soviet Union in the Cold War from Stalin to Gorbachev (2007) p. 275. ^ Aleksander Smolar, '"Self-limiting Revolution": Poland 1970-89', in Adam Roberts and Timothy Garton Ash (eds. ), Civil Resistance and Power Politics: The Experience of Non-violent Action from Gandhi to the Present, Oxford University Press, 2009, ISBN 978-0-19-955201-6, pp. 127-43. ^ Tony Judt. Postwar: A History of Europe Since 1945. The Penguin Press. 2005: 589. ^ Towle, Philip. The Oxford History of Modern War. : 159. ^ King, D. C., & Karabell, Z. (2003). The generation of trust: Public confidence in the US military since Vietnam. Aei Press. ^ LGM-118A Peacekeeper. Federation of American Scientists. 2000-08-15 [2007-04-10]. ^ Lebow, Richard Ned and Janice Gross Stein. Reagan and the Russians. The Atlantic. February 1994 [2010-05-28]. ^ Gaidar, Yegor. Public Expectations and Trust towards the Government: Post-Revolution Stabilization and its Discontents. The Institute for the Economy in Transition. [2008-03-15]. ^ "Official Energy Statistics of the US Government", EIA —International Energy Data and Analysis. Retrieved on 2008-07-04. ^ Talbott, Strobe; Hannifin, Jerry; Magnuson, Ed; Doerner, William R.; Kane, Joseph J. Atrocity in the skies. Time. 1983-09-12 [2008-06-08]. 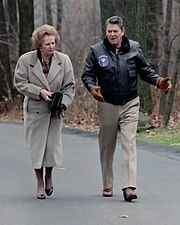 ^ Reagan, Ronald. Foner, Eric; Garraty, John Arthur, 编. The Reader's companion to American history. Houghton Mifflin Books. 1991 [2008-06-16]. ISBN 0-395-51372-3. ^ Skinner, K. K. (2008). Turning points in ending the Cold War (Vol. 538). Hoover Institution Press. ^ Pipes, Richard. (1995). Misinterpreting the Cold War: The Hard-Liners Had it Right. Foreign Affairs, 154-160. ^ 1985: "Superpowers aim for 'safer world'", BBC News, 1985-11-21. Retrieved on 2008-07-04. ^ Toward the Summit; Previous Reagan-Gorbachev Summits. The New York Times. 1988-05-29 [2008-06-21]. ^ Intermediate-Range Nuclear Forces. Federation of American Scientists. [2008-06-21]. ^ Malta summit ends Cold War, BBC News, 1989-12-03. Retrieved 2008-06-11. ^ Garthoof, Raymond L. "The Great Transition: American-Soviet Relations and the End of the Cold War" (Washington: Brookings Institution, 1994). ^ Kendall, Bridget. 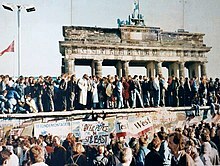 BBC News - New light shed on 1991 anti-Gorbachev coup. Bbc.co.uk. 2011-08-17 [2013-03-30]. ^ O'Clery, Conor. (2011) Moscow 1991-12-25: The Last Day of the Soviet Union. Transworld Ireland. ISBN 978-1-84827-112-8, p 14. 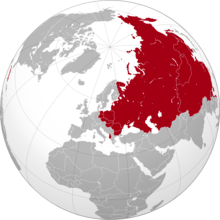 ^ Soviet Leaders Recall 'Inevitable' Breakup Of Soviet Union, Radio Free Europe/Radio Liberty, 2006-12-08. Retrieved 2008-05-20. ^ Duke, Simón. United States military forces and installations in Europe. Oxford University Press. 1989: 175. ISBN 0-19-829132-9. ^ 287.0 287.1 287.2 287.3 287.4 Calhoun, Craig. Cold War (entire chapter). Dictionary of the Social Sciences. Oxford University Press. 2002 [2008-06-16]. ISBN 0-19-512371-9. ^ Pavelec, Sterling Michael. The Military-Industrial Complex and American Society. ABC-CLIO. 2009: xv–xvi. ISBN 1-59884-187-4. ^ 大敵當前 立陶宛、瑞典恢復徵兵. 自由時報電子報. 2018-01-28. ^ Nashel, Jonathan. 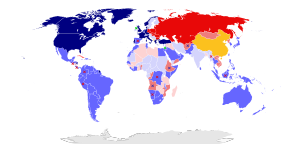 Cold War (1945–91): Changing Interpretations (entire chapter). (编) Whiteclay Chambers, John. The Oxford Companion to American Military History. Oxford University Press. 1999 [2008-06-16]. ISBN 0-19-507198-0. ^ Hogan, Michael J. 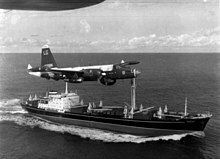 The Search for a Synthesis: Economic Diplomacy in the Cold War. Reviews in American History. 1987, 15 (3): 493–498. JSTOR 2702050. ^ Brooks, Jeffrey. (2000). Thank you, comrade Stalin! : Soviet public culture from revolution to Cold War. Princeton Book Company Publishers. p, 246. ^ How Jazz Warmed Cold-War Hearts —The Picture Show Blog : NPR. ^ Troiëtìskiæi, A. (1988). Back in the USSR: the true story of rock in Russia. Faber and Faber (Boston), p 54. Applebaum, Anne. Iron Curtain: The Crushing of Eastern Europe, 1944–1956. Doubleday. 2012. ISBN 0-385-51569-3. Dominguez, Jorge I. 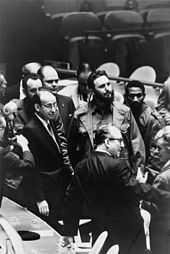 To Make a World Safe for Revolution: Cuba's Foreign Policy. Harvard University Press. 1989. Fedorov, Alexander. Russian Image on the Western Screen: Trends, Stereotypes, Myths, Illusions. Lambert Academic Publishing,. 2011. ISBN 978-3-8433-9330-0. Friedman, Norman. The Fifty-Year War: Conflict and Strategy in the Cold War. Naval Institute Press. 2007. ISBN 1-59114-287-3. Gaddis, John Lewis. Russia, the Soviet Union and the United States. An Interpretative History. McGraw-Hill. 1990. ISBN 0-07-557258-3. Gaddis, John Lewis. We Now Know: Rethinking Cold War History. Oxford University Press. 1997. ISBN 0-19-878070-2. Gaddis, John Lewis. The Cold War: A New History. Penguin Press. 2005. ISBN 1-59420-062-9. Garthoff, Raymond. Détente and Confrontation: American-Soviet Relations from Nixon to Reagan. Brookings Institution Press. 1994. ISBN 0-8157-3041-1. Halliday, Fred. The Making of the Second Cold War (1983, Verso, London). Hussain, Rizwan. Pakistan And The Emergence Of Islamic Militancy In Afghanistan. Ashgate Publishing. 2005. ISBN 0-7546-4434-0. Kalinovsky, Artemy M. A Long Goodbye: The Soviet Withdrawal from Afghanistan. Harvard University Press. 2011. ISBN 978-0-674-05866-8. LaFeber, Walter. 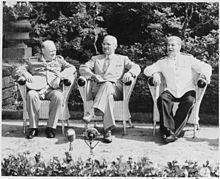 America, Russia, and the Cold War, 1945–2002. McGraw-Hill. 2002. ISBN 0-07-284903-7. Leffler, Melvyn. 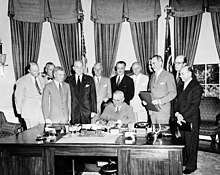 A Preponderance of Power: National Security, the Truman Administration, and the Cold War. Stanford University Press. 1992. ISBN 0-8047-2218-8. Lewkowicz, Nicolas. The German Question and the International Order, 1943–48. Palgrave Macmillan. 2010. ISBN 978-0-230-24812-0. Lundestad, Geir. East, West, North, South: Major Developments in International Politics since 1945. Oxford University Press. 2005. ISBN 1-4129-0748-9. Lüthi, Lorenz M. The Sino-Soviet split: Cold War in the communist world. Princeton University Press. 2008. ISBN 0-691-13590-8. McMahon, Robert. The Cold War: A Very Short Introduction. Oxford University Press. 2003. ISBN 0-19-280178-3. Meher, Jagmohan. 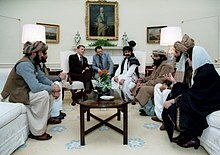 America's Afghanistan War: The Success that Failed. Gyan Books. 2004. ISBN 81-7835-262-1. 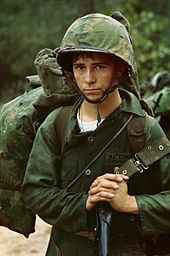 Malkasian, Carter. The Korean War: Essential Histories. Osprey Publishing. 2001. ISBN 1-84176-282-2. Miller, Roger Gene. 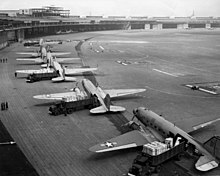 To Save a City: The Berlin Airlift, 1948–1949. Texas A&M University Press. 2000. ISBN 0-89096-967-1. Njolstad, Olav. The Last Decade of the Cold War. Routledge. 2004. ISBN 0-7146-8371-X. Palmowski, Jan. "Cold War" A Dictionary of Contemporary World History. Oxford University Press, 2003. Nolan, Peter. China's Rise, Russia's Fall. St. Martin's Press. 1995. ISBN 0-312-12714-6. Pearson, Raymond. The Rise and Fall of the Soviet Empire. Macmillan. 1998. ISBN 0-312-17407-1. Puddington, Arch. Broadcasting Freedom: The Cold War Triumph of Radio Free Europe and Radio Liberty. University Press of Kentucky. 2003. ISBN 0-8131-9045-2. Roberts, Geoffrey. Stalin's Wars: From World War to Cold War, 1939–1953. Yale University Press. 2006. ISBN 0-300-11204-1. Stone, Norman. The Atlantic and Its Enemies: A History of the Cold War. Basic Books Press. 2010. ISBN 0-465-02043-7. Weeks, Albert L. Russia's Life-Saver: Lend-Lease Aid to the U.S.S.R. in World War II. Lanham, Maryland: Lexington Books, 2004. ISBN 978-0-7391-0736-2. Wettig, Gerhard. Stalin and the Cold War in Europe. Rowman & Littlefield. 2008. ISBN 0-7425-5542-9. Dobrynin, Anatoly. In Confidence: Moscow's Ambassador to Six Cold War Presidents. University of Washington Press. 2001. ISBN 0-295-98081-8. Hanhimaki, Jussi and Odd Arne Westad, eds. The Cold War: A History in Documents and Eyewitness Accounts (Oxford University Press, 2003). ISBN 978-0-19-927280-8. Sakwa, Richard. The rise and fall of the Soviet Union, 1917–1991. Routledge. 1999. ISBN 0-415-12290-2.